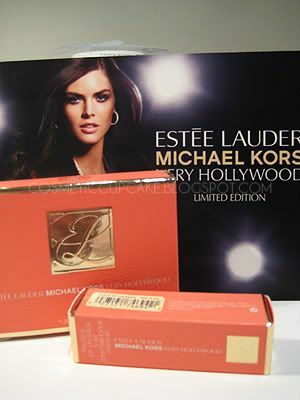 I've been wanting to get to Myer or DJs to try the new Estee Lauder Michael Kors Very Hollywood Collection and I finally got the chance to go to Myer last Sunday to see the products in person. 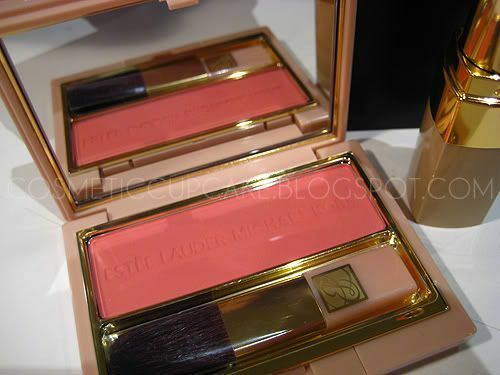 There are 2 looks to the limited edition collection: Rodeo Pink and my favourite Bel-Air Beige. I managed to pickup 2 items from the Bel-Air collection - the blush in Sunset Coral and lippie in Starlet Peach after I got a makeover at Myer using the products. Both products were sold out at Myer but luckily I managed to pick up the last ones up at DJs! I made use of the GWP for Estee Lauder that DJs currently have with purchase over $70 and also 10% off on cosmetics over $100 with the DJs credit card. Word of warning: if you're after the Bel-Air Beige range get in quick because it's selling out fast! 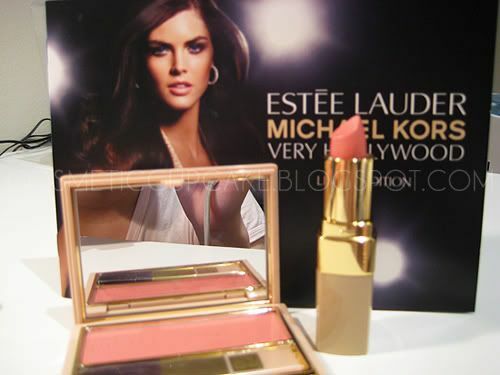 Sunset Coral blush is a gorgeous peachy colour which goes on quite pinky, perfect with a smokey eye. I've been lemming a peachy blush for months now and I think i've found my HG! 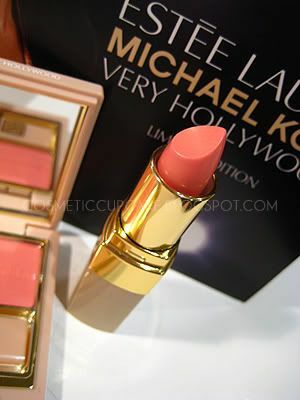 I'm more of a lipgloss girl but lately I've been into lipsticks and Starlet Peach is a nice coral to have. It goes on quite sheer even though it looks quite pink in the tube. 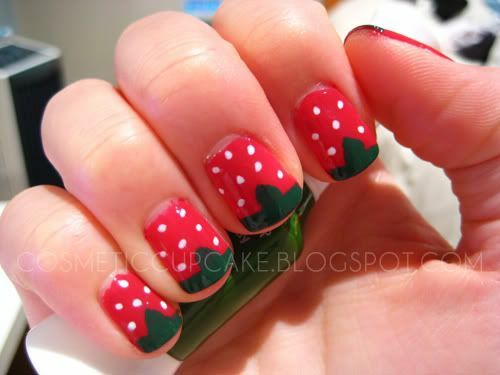 Also my strawberry nails at the start of the week using Rimmel funky diva and Nail Star two way pens in green and white. I have had soooo many compliments on these nails from patients, colleagues and shop assistants that I'll DEFINITELY be sporting them again! I'll be posting more of my recent nails tomorrow! Hello! I love your nails. Thanks for the review of the EL Michael Kors collection. I saw the ad in inStyle and was really curious about the colours.